Editor’s Note: There are good reasons for reporting claims and incidents when they happen. Here is vital information, that even seasoned inspectors may not know, that can save you anxiety, money and maybe even your business. If you’re an appraiser, much of this story pertains to you as well (see the sidebar below). The return address on the envelope is from a local attorney and as you open the letter your stomach begins to tighten. Unfortunately, your instincts are right: you’re being sued. It’s an inspection you did 14 months ago. Whew! You had errors and omissions insurance coverage at the time, so no problem, right? Not necessarily. As you dig for the report the interaction with the client comes back in bits and pieces. The client seemed nice. He called upset that his roof was leaking six months after he moved in. You looked up the report, called him back and pointed out where you indicated that the roof showed signs of wear and your recommendation that an expert be called in before the purchase. It looks like you did everything by the book. You offered to come out and take a look. He said it was okay, “Don’t worry about it.” He seemed calm when you hung up. A few days later a hand written “demand letter” arrives saying it’s going to cost $15,000 to replace the roof and he wants you to pay for it. Included is a quote from a roofer. You call the homeowner right away, leaving a voicemail and again offering to come out and take a look at the roof. Days and weeks go by and you hear nothing. In your experience no news is good news. You assume your professionalism fended off possible trouble: you responded promptly, confidently and courteously. And your report is solid. Why worry until you have reason to? The trouble is, his brother-in-law is an attorney and you know the rest. Now there’s a claim, 14 months later. 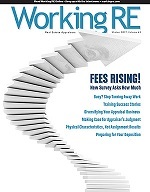 You’ve read the stories in Working RE Magazine (published by OREP.org) over the last nine years so you are aware of how important it is not to let your Claims Made E&O Insurance policy lapse. So you haven’t. You always renew in plenty of time so there has been no break in coverage. Easy. Since you were covered at the time of the inspection and since there is no break in coverage, you relax a bit; this legal tussle might be a hassle but at least it won’t be catastrophic because you have insurance. You forward the claim to your agent who forwards it to the claims department at your insurance company. They review the file submitted by the claimant and note that the first letter from the homeowner is dated 14 months prior to the letter from the brother-in-law/attorney. They may ask why you didn’t report the “incident” when it happened. “Because I didn’t think it would amount to anything,” you answer. Well, it could have been worse but your claim is being responded to. You take a deep breath and relax a bit. Even if you’re blameless, it can still take many thousands or tens of thousands of dollars to provide a defense, so having E&O is an effective and inexpensive sleep aid: a good decision. Understand that it is possible for an underwriter to assume that a non-disclosure like this is an intentional attempt to withhold information. If you fail to disclose an incident/potential claim on your new/renewal application, for whatever reason, and your insurance company discovers it (probably when it turns into a claim), they could assume the worst. This casts doubt on your character and could result in a non-renewal. Remember, when you sign an insurance application you are representing that everything stated is true. It’s unlikely but possible for the worst to happen- they decide not to renew the policy because they think you withheld information. Well, the good news is that it won’t effect coverage of the open claim because it’s already been reported. And there are other insurance carriers, you say, you’ll just take your business elsewhere. You are honest on the next application (having learned your lesson) and disclose that you were “non-renewed” by your previous insurance company and why. If the claim is not resolved yet and they typically take awhile, there will be a “loss reserve” on your account that will show up in your “loss run” statement. This will be part of your file until the case is resolved. A loss reserve is the amount the carrier puts aside to defend and pay for the claim. They set aside this amount to assure adequate reserves. This amount is typically much greater than ever makes sense to a layman but it’s the way insurance companies must operate. Most carriers ask for a loss run before they agree to insure you. The “loss run” is your loss history. Now you are being non-renewed for not disclosing information and you have an open claim. After your justifiable rant because, after all, you really have done nothing wrong, if you can find someone to cover you, it may be more costly than what you would pay if your record was “clean.” It depends on the amount of loss reserve and the nature of the claim. If only one company offers you coverage and it’s expensive, your limited options will dictate that you pay it, especially if you need insurance because it is required by your state or by those who refer business to you. To summarize, if you don’t report a claim when it happens there may be no coverage in the future when you need it, especially if you no longer have insurance. Further, if you don’t report it on an application and then a claim arises, that also can have negative consequences. Now here’s the flip side. The advantage of reporting a potential claim during the policy period when it happens, no matter how insignificant it may seem, is that later, if it does turn into a “claim,” the insurance company should respond even if the policy is no longer in force. This is the best reason for reporting a potential claim when it happens. It is also a great way to get expert advice from seasoned claims adjusters (attorneys) on how to respond- to hopefully stop the complaint in its tracks. I know what you’re thinking- that reporting every “incident” or “claim” will make your premium go up at renewal time. With most companies, an “incident” typically does not cause a rise in premium. Some carriers might raise your rates if there are a series of “incidents” in a policy period or if one or more is later classified as a “claim” and reserves set. If a potential claim amounts to nothing, it should not effect your premium, with most insurers. Remember, the upside of reporting incidents when they happen is that you will have coverage if a claim arises later whether you have insurance or not and you can get help defending yourself. The possible downside is not having insurance when you need it. Admittedly these distinctions are not black and white and definitions may differ among insurers. Report anything in writing for sure, especially if it’s from an attorney. If in doubt, ask your insurance agent. The benefits of reporting potential incidents and claims are significant and the downside minimal. 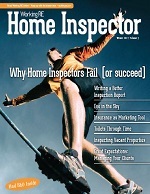 David Brauner is Editor of Working RE magazine and Senior Broker at OREP, a leading provider of E&O Insurance for appraisers, inspectors and other real estate professionals in 49 states (OREP.org). He has covered the appraisal profession for over 17 years. He can be contacted at dbrauner@orep.org or (888) 347-5273. Calif. Insurance Lic. #0C89873.